At the AANA Congress in early February this year I spoke about the growing complexity in the market place and the need for adopting a different approach to this complexity. Since then I have had a number of conversation with marketers who have described their frustration with their current agencies. The interesting thing is that when you start to probe the problems are that often the agency / supplier arrangements they have in place have not substantially changed in years. 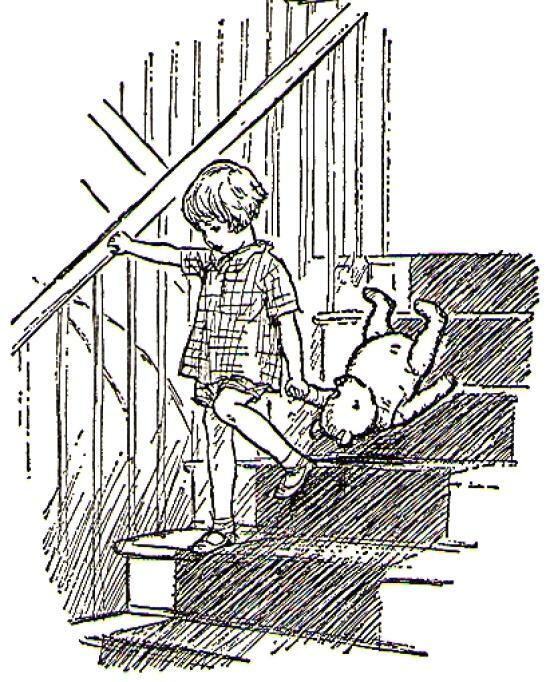 At the Communications Council Circus I saw Jess Greenwood from Contagious present and one of the things that resonated was this images from “The House at Pooh Corner”. Suddenly I understood why a CMO who for 12 months, has been talking about wanting to solve their problem of having far too many agencies, said “I really am too busy to think about it”. Sure, managing that many agencies is a huge drain on the marketing team who find themselves in back to back meetings each day just trying to co-ordinate so many stakeholders. But they are also too busy to do anything about it. 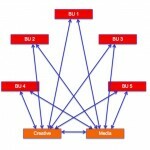 So what is the right number of agencies? And how do you decide? I have written about our TrinityP3 Strategic Supplier Alignment process. But here is an example of how the process can not only deliver improvements in performance, but help drive economies of scale and reduce the resources required to manage the agencies. A CMO inherited a house of brands with a roster of agencies and suppliers that had grown organically to the point that clearly they had too many agencies for their total spend. And they were looking to appoint a Social Media Specialist. The first three categories were appointed to particular brands or in the case of media buying across the whole house of brands. The remaining supplier categories were vendor panels with no formalised relationship. CMO wanted to know which agencies to cut? A better question is which agencies did they need. The roster of agencies needs to deliver the strategic needs of each brand. Therefore the starting point is defining the strategic needs of the brand, defining which vendor can deliver that and determining how well they currently deliver those strategic needs. 1. We reduced the number of agencies from more than 50 to just over ten. 2. All of the brands had the strategic resources required. 3. Marketers spent less time meeting with multiple vendors. 4. Agencies were able to provide dedicated teams because they now had a spend level to justify the investment. 5. The agencies were more aligned and accountable for performance. 6. The economy of scale with the agency spend delivered a 12% improvement in cost efficiency. 7. The reduction in agency management and overhead resources delivered a 8% reduction in agency overheads. 8. The strategic vendor plan has reduced leakage in the supplier base with a robust review process for adding new vendors to the mix. While many marketers feel that vendor management is low priority and low interest, the fact is that the benefits make the marketing process easier to manage and more efficient.